Compared with my previous survey findings (see this blog post) from two years ago my main outcomes currently (as shown in chart 1 & 2) are actually quite consistent, safe for some small variance. Given the substantial increase in sample size (especially for Haiti, Jamaica and Cape Verde) this would seem to signal that these regional patterns are quite robust already. Corroborating my previous findings. For my African American sample group I have utilized two separate but partially overlapping data-sets. One consisting of 200 unscaled AncestryDNA results (incl. non-African scores; 165 results are entirely new). As well as my previous dataset (n=350) which focused only on the African breakdown (scaled to 100%). In chart 1 the sample-size n=515 is consisting of 165 results from the new data-set and 350 results from my older data-set. In chart 2 I maintained my previous findings from the data-set, n=350. A major addition to my previous report is the inclusion of 45 Brazilian samples. In 2016 I had lamented that I wasn’t able to compare with Brazilian results (due to the lack of Brazilian testers at that time). As I already foresaw how insightful such a comparison would have been. Their predominantly Central African profiles (as measured by both “Southeastern Bantu” and “Cameroon/Congo”) are quite striking when contrasted with my other sample groups. In accordance with historically documented origins from especially Angola but also Mozambique and Congo. 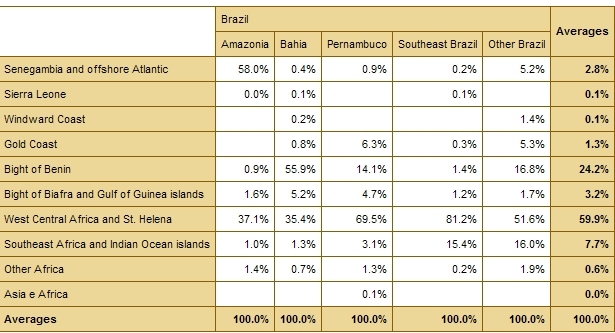 Especially given that the majority of my Brazilian survey participants is from southeast Brazil where such ancestral connections are even more pronounced (people from Bahia might show more Bight of Benin origins and profiles from Amazonia/Maranhão could show a tendency towards a greater Upper Guinean imprint according to documented slave trade records: see this chart). One of the most fascinating aspects of my survey findings is that socalled substructure is now also starting to slowly be revealed. Genetic substructure is basically referring to subgroups within greater populations. To be defined along geographical, social, cultural, or even “racial” lines. Despite commonalities various localized factors may still have have caused differentiation between various subgroups within a given population. In particular pointing towards a distinctive mix of African regional origins. Showing overlap to be sure but still recognizable due to deviating proportions. In 2016 I already pointed out the limitations of my survey in regards to how they might correlate with any fictional national group averages. In particular I mentioned the various cases of possible sampling bias (see the introduction section of this blog page). Even when I still fully acknowledge these limitations at the same time I do feel more confident about the representativeness of my survey findings. Given not only the general increase in sample size but also because of a greater variety in backgrounds from each nationality. Covering a wider span of geographical locations within one particular country as well as including people from various social & “racial” backgrounds (i.e. black Hispanics). Probably thanks to the increasing popularity of DNA testing. Even when the distinctive migration patterns to the USA are still impacting the general composition for many of my survey groups. For Dominicans the main underlying cause might be relative endogamy after initial admixture. Taking place mostly in the early colonial period (1500’s/1600’s) when the nucleus of a (tri-racially) mixed Dominican population was being formed. Ensuring that certain regional African origins show up more pronounced. Because additional African admixture was not occurring afterwards (or to a much lesser degree) for certain socially/racially defined population segments. For Dominicans with Africa <25% an Upper Guinean founding effect (as measured by “Senegal” and “Mali”) seems to be apparent especially. And to a lesser degree possibly also an Angolan founding effect (as measured by “Southeast Bantu”). While for Dominicans with Africa >50% it seems reasonable to assume that they may have more diverse but also more recent African origins, on average. Mostly reflecting regions of provenance from the 1700’s (as measured by especially “Benin/Togo” but also “Nigeria” and “Cameroon/Congo”) rather than the 1500’s/1600’s. See also section 2 of this blog post. In previous blog posts published in 2015 I have already demonstrated the likelihood of similar substructure for African Americans along state origins (South Carolina, Virginia & Louisiana; see section 5 of this blog post). 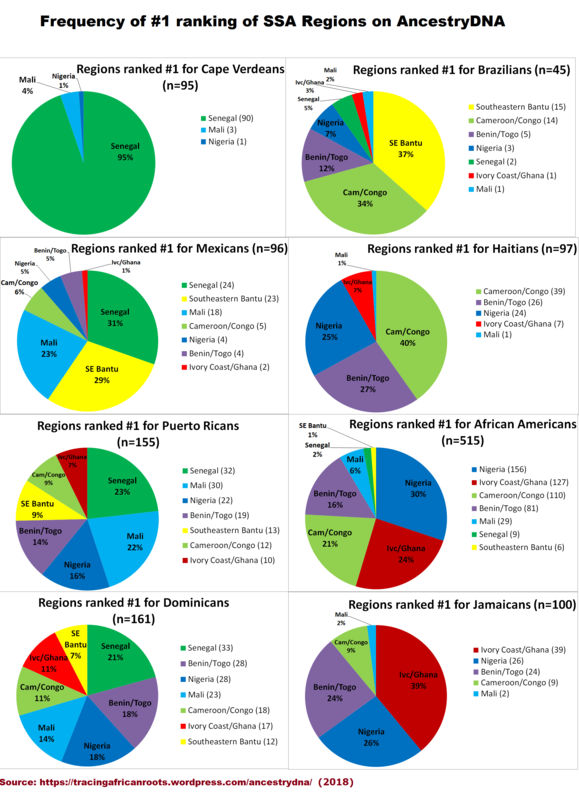 And also for Puerto Ricans according to either low or high African admixture rates. Very similar to my Dominican findings in fact (see section 2 of this blog post). It will be instructive to uncover similar cases of substructure for my other survey groups. But due to lack of needed sample variation I have not been able to establish this yet. Although I am already picking up on distinctive regional patterns for my Brazilian samples from either the southeast or northeast of that country. Also for Cape Verdeans a (very subtle) subdivision along island lines might exist. Even when arguably they remain my most homogeneous Afro-Diasporan sample group. 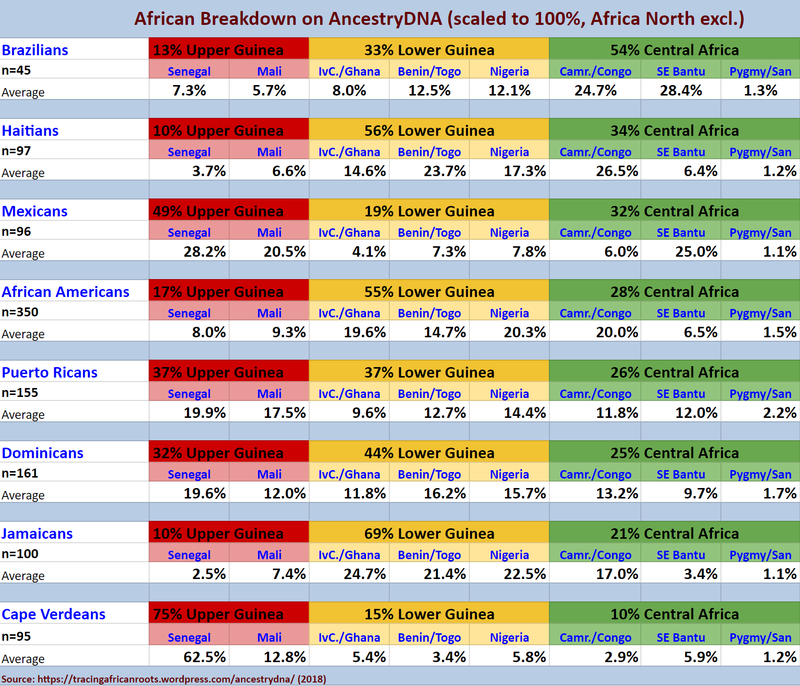 Determining the largest regional components within the African breakdown, on average, for each of my sample groups has been a primary research effort during my AncestryDNA survey. Afterall these most prominent regional scores can be considered to have the highest reliability at this stage and might also be confirmed independently by historical sources. Establishing where each African region is relatively more pronounced or instead more subdued might therefore provide insightful clues into localized ethnogenesis across the Diaspora. In the charts shown directly above I am singling out the individual maximum scores I have encountered in my survey. Therefore not representing the most typical profiles. A much greater variation and a usually more regionally balanced outcome can be observed if you closely examine other individual results within my survey. Still I do believe that these results are meaningful in illustrating the most characteristic top regions for each of my survey groups (even when my survey groups might have more than one characteristic top region). These maximum scores are mostly in line with my other findings such as frequency of top regions (see chart 1), group averages (see chart 2), as well as slave trade statistics (see this page). Another feature of chart 5 is the frequency of “100% African” profiles among my survey groups. Non-African admixture is both widespread as well as greatly variable across the Afro-Diaspora. The popularity of DNA testing may have conveyed the impression that Afro Diasporans of “pure” African lineage are some kind of “unicorns”. But this is clearly a misconception. Within my sample groups especially Haitians and Jamaicans show a noticeable (even if still minor) proportion of people who are “100% African”. However also among African Americans I did manage to find several people without any non-African admixture. Contrary to some popular media reports (see this link for example). Ten profiles out of 515 results turned out to be 100% African, genetically speaking. Which makes about 2% of my sample group (10/515). For all of these people I have verified to the best of my capabilities that they were indeed multi-generationally African American on all lines, without any West Indian or African parents/grandparents. These statistics are still quite preliminary of course. And it may be assumed for various reasons that people with such “100% African” profiles will generally be under-represented among AncestryDNA testers. However I suspect that these findings are already suggesting wider tendencies. As an extra note I should mention that also among 21 Guyanese AncestryDNA results in my survey I came across 4 profiles which showed a 100% African score. Therefore other parts of the Afro-Diaspora might show equally pronounced retention of African DNA as Haiti and Jamaica have been showing in my survey. “Mere estimates” or as comprehensive as it can get? Chart 8 is showing a comprehensive overview of my survey findings among 34 nationalities and based on 1,377 results. I have also included a few African sample groups to provide a benchmark so to speak. This might be helpful to learn what to expect more or less and get a basic idea of how my sample groups from across the Afro-Diaspora fit in the bigger scheme. The range of my survey has become quite extensive over the years. Despite the limited sample size for most of the separate nationalities this wide array does still seem to contribute to the robustness and coherency of my overall data set. Although I wish I could have included more results from especially Guinea and Mali to make more sense of the “Mali” region. As well as from Angola and Mozambique to arrive at a better understanding of the socalled “Southeast Bantu” region. I also find it regrettable that the number of samples from Cuba and the Dutch and French Caribbean has been rather minimal sofar. I hope to eventually improve the coverage of these significant parts of the Trans-Atlantic Afro-Diaspora. As well as extend my survey further into the Indian Ocean Diaspora. Admixture analysis such as provided by AncestryDNA is often drawing criticism for not being in line with unrealistic expectations. Specifically in regards to how ancestral categories should conform exactly to a person’s family tree and all the known ethnic lineage it may contain. Disregarding how such over-specified information is simply not to be found in our DNA. Atleast not given the current state of knowledge. There are many other shortcomings to keep in consideration as well. However I myself do strongly believe that AncestryDNA’s Ethnicity Estimates can still be of great informational value as long as you know how to correctly interpret them; educate yourself about inherent restrictions; as well as combine with other research findings. Instead of taking a generalizing and dismissive stance I would argue that each aspect of admixture analysis should be judged on its own strenghts and weaknesses. Precisely because of its still unrivaled framework for describing both West African and Central African DNA I find AncestryDNA to be more insightful than anything presently on offer by other commercial DNA testing companies as well as any third-party analysis such as available on Ged-Match, DNA Land etc.. My assessment is based on the more than 300 AncestryDNA results of native Africans I have seen by now. These were usually in alignment (broadly) with their verifiable background (see this overview). Also my survey of Afro-Diaspora results has largely been a confirmation of historically documented African origins for each nationality. In this current review of my findings this has been demonstrated most clearly perhaps by the inclusion of 45 Brazilian results and their predominantly Central African profiles. Again such potentially profound information is not something to carelessly brush aside when wanting to Trace African Roots! My survey has been based on the current version of AncestryDNA’s Ethnicity Estimates containing 9 African regions. It remains to be seen how well my present findings will correspond with any newly calculated AncestryDNA results. Will they be rendered completely obsolete or may they still contain lasting insights about the approximate composition of African regional origins for my survey groups? Judging from several updated results I have seen already I do suspect that there will be some regional shifting. Seemingly not per se consistent with previous results although usually involving neighbouring regions with overlapping genetics. The survey findings featured in this blog post merely represent my personal attempt at identifying generalized, preliminary and indicative patterns on a group level inspite of individual variation. Everyone has a unique family tree of course first of all. For a deeper understanding of your personal results my advice therefore is to perform follow-up research (DNA matches, genealogy, relevant historical context etc.) and aim for complementarity of your findings (see also this blog post). I would like to thank again all my survey participants for sharing their results with me. I am truly grateful for it! 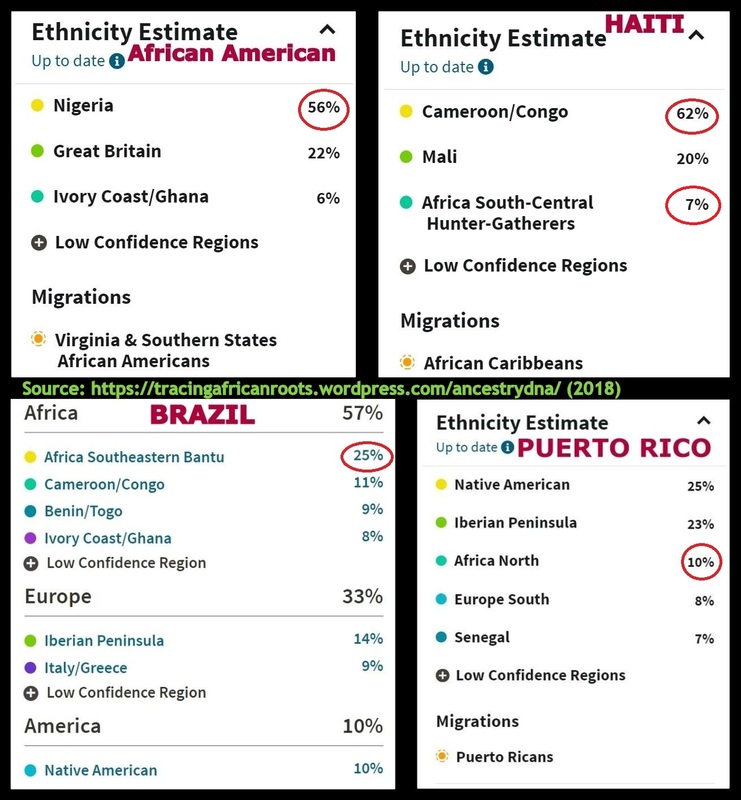 This entry was posted in African Americans, Anglo Caribbean, Angola, Brazil, Cape Verde, Congo, DNA Studies, DNA Testing, Dominican Republic, Franco Caribbean, Hispanic Americans, Jamaica, Puerto Rico, Upper Guinea and tagged AncestryDNA. Bookmark the permalink. Excited for this new update. I have 46% Nigerian and 14% Cameroon/Congo. Not sure if my Cameroon is actually Congo or not. Yes me too, i’m very anxious to see if the update will be an improvement or not. Have you done a search yet for African matches? I sort of found one. Her full name is an efik name but I’ve not been fortunate enough to contact her. My genetic community is Virginia and being that we have high Nigeria percentages, I’ve found two Virginia matches who have Nigeria > 50% which is crazy. Congratz! Efik people may have increased levels of “Cameroon/Congo” actually! Have you checked her percentages already? Ancestry’s app allows you to compare results with your matches. Thank you for your articles. I’m Cape Verdean-American, my parents and grandparents emigrated from Fogo. My results from Ancestry are very similar to other Cape Verdeans. 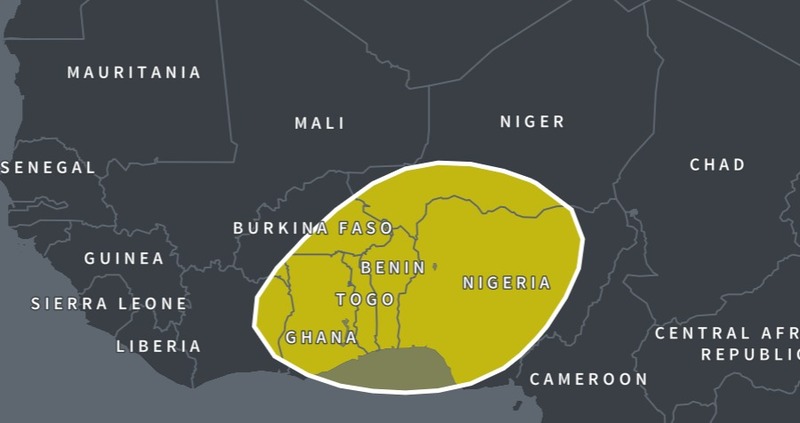 33% Senegal, 26% Iberian Peninsula, 13% Mali, 7% Europe South. I have a number of low confidence regions, 6% Great Britain, 4% each for Africa North and Middle East, 2% Asia Central, 1% Africa South-Central Hunter-Gatherers, and less than 1% European Jewish, Benin/Togo, Melanesia, and Cameroon/Congo. I have also uploaded my dna raw data to gedmatch and My Heritage.com. Even though the Admixture Utilities on gedmatch does not identify a specific African country, my results from the various utilities for sub-sharan African ranged from 47 to 55 %. The only discrepancy was with the results from my heritage. The percentage for North African dna was 18.8%.This percentage was the same as the EthioHelix K10 + French admixure utility on gedmatch. Per the notes on the website about this test, French acts as a proxy for European ancestry. I am also waiting for the ancestry update to determine if the my Africa North results will be different. Hello Ed, thanks a lot for your comment! Yes those results are indeed very similar to my Cape Verdean survey findings. Except for the 2% socalled “Asia Central” as well as the <1% "Melanesia". These atypical scores are very likely to be misreadings of your DNA and *possibily* might indicate South Asian DNA instead. Eventhough uncommon a few of my Cape Verdean survey participants did also score minor amounts of "Asia South". Which could be in line with partial lineage from Goa I suppose. Although other scenarios might also be valid. I actually intend to devote a separate blog post soon to discuss my Cape Verdean surveyfindings in greater detail. Your breakdown might very well change indeed because of the update. Afterall it’s just a snap shot of how your DNA compares with the reference samples in Ancestry’s current database according to their current algorithm. I have so far seen two updated Cape Verdean results as well as 1 updated Portuguese result. There could be greater variation, but based on those observations I'm guessing your "Africa North" % might actually decrease or even disappear completely as it will be included in the new category of "Portugal" instead. Also your "Senegal" and "Mali" amounts might shift. Despite the country name labeling it's best though to just consider both of these regions as a combined measure of your Upper Guinean ancestry. About the discrepancies on Gedmatch & My Heritage. These are really not inter-comparable with your Ancestry results because of differences in reference populations and their constellation. When comparing different DNA testing platforms you should also take into consideration the specific algorithms being used to calculate your percentages. Some DNA testing companies (such as 23andme and Ancestry) making an extra effort to zoom into more recent origins while others (especially third party tools) seemingly by default describe a much more ancient (and therefory blurry) timeframe for your DNA. To be frank I am not a big fan of the admixture analysis performed by My Heritage as I find it lacking in informational value and often conflicting with historical plausibility. Without proper interpretation or context given also the Gedmatch admixture calculators can be very confusing or even misleading. Although you can also still obtain valuable insights as long as you are aware of the limitations. Fonte, I began work on the 100% African matches you found for me, and have already gotten back a reply from one! 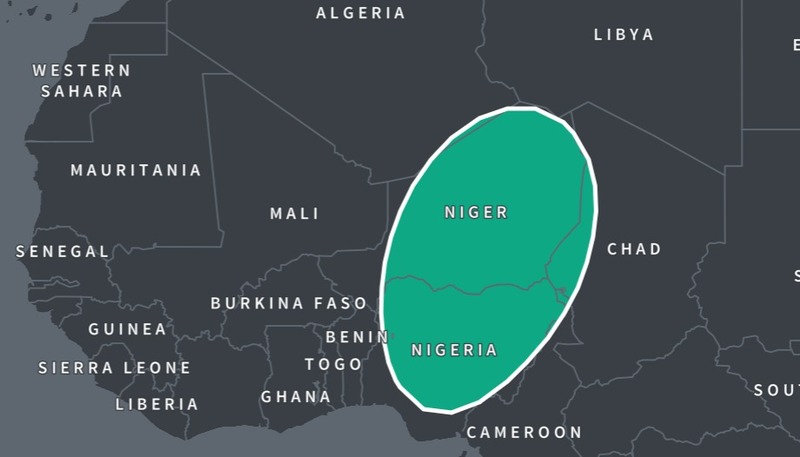 It is at least one piece of evidence toward the theory that a lot of my “Benin/Togo” and “Cameroon/Congo” is indeed Nigerian given that I only tested 2% Nigerian with so much of my African American ancestors from Virginia/Maryland, which was heavily Nigerian settled. In fact, it also goes along with my personal theory that those two regions may be measuring the peripheral populations of southern Nigeria. Anyway, thanks again for your help. BTW, what has your experience been with finding your own 100% African matches? Did it match-up with where you knew your people were from? I imagine you had all kinds of Senegalese matches, huh? Sorry if this is something you’ve covered in another post. 2) Lack of Upper Guinean testers in Ancestry’s customer database. 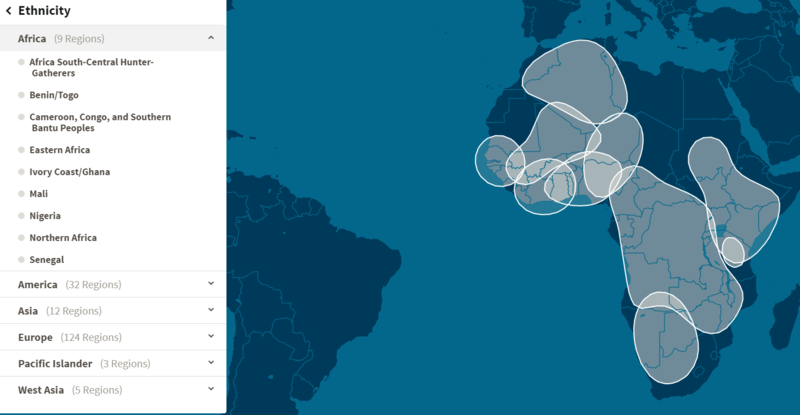 Especially very few people from Guinea Bissau have tested with Ancestry it seems. While this country is arguably one of the main ancestral locations for Cape Verdeans. Along with surrounding countries such as Senegal, Gambia, Guinea Conakry and Sierra Leone. I am currently preparing a page about my survey findings from these countries. But it has taken me the longest time to collect a reasonable number of results from this area, given that they are relatively still rare, lol. There are however quite a few Fula people who have tested with Ancestry. An update: The Ibibio match was actually half Ibibio (paternal) and half Efik (maternal); these two groups are often grouped together, anyway. He informed me that his own theory is that I probably match more through his Efik side than Ibibio, since the Efik had considerably more contact with the British than the more inland Ibibio. Apparently, most slaves from that region were shipped from the Efik port in Calabar. Oh, and since my last post I’ve also gotten back a message from the Zambian contact you found; he was indeed of entirely Zambian descent, though like the Nigerian cousin he’s also from the UK. Specifically, I was able to find that he’s from the Nsenga people. He was not surprised to hear of the theory that you had that this was a mix of Cameroon/Congo and SE Bantu as he relayed to me his people believe they are from much further northwest and did not move into Zambia until well into the 16th century. Given how far back these autosomal tests reach, it’s not really a surprise, then, that even people from as far as Zambia would show up as “Cameroon/Congo. He said that it’s believed his people were in fact a make-up of two groups, one from the Cameroonian Highlands, and a second from the Lunda and Luba empires in what is today southern Congo. It seems likely that these folks may enter my line when they were further northeast than they are now, as it seems the Lunda and Luba empires collapsed from pressure from the east and not the west (Kongo raids). Slaves taken from what is today Zambia west to the Kongo coast seems pretty unlikely. Really nice that your matches are being so informative! I only have 6 Zambian samples in my survey but all of them showed up as a mixture of “Cameroon/Congo” and “SE Bantu”. With the former region being clearly predominant in all cases. From what I’ve read there are several ethnic groups in Zambia who claim to be descended from people who used to live further north. Even though I do not think the “Cameroon/Congo” region is a perfect measure of these northern origins. I do feel that the distinction being made with “SE Bantu” was useful. I’m really not in favour of combining both regions into one single catch-it-all category to describe Central & Southern African ancestry. As seems to be Ancestry’s intention for their upcoming update. I believe it would be a huge step back also when trying to make better sense of the results for people from the Afro-Diaspora. I’m not too sure what to make of it, I didn’t expect it! Both of my parents are Nigerian (Bini, Itsekiri, Urhobo & Isoko). I’ve used other autosomal sites such as DNA Land, GEDmatch and results do vary, but not significantly. For example, I’ve gotten Senegal/Mali/Kenya etc but you never know as I’m sure the way third party websites analyse your DNA is different and not in much depth. Also, with 23andme, on Conservative mode which is 90% accurate, I’m 94.5% SSA whilst the remaining 5.5% is unassigned. I’d like to know your thoughts on this. Thank you again! Hi Jennifer, thanks a lot for sharing your results! Very interesting also your family background! Is each one of your grandparents from a different ethnic group? If so, how common would that be for Nigerians in your experience? I suspect this kind of ethnic inter-marriage is often underestimated among people from the Diaspora. As you can see for yourself your breakdown is quite typical for southern Nigerians in general. Going by group averages your 53% “Nigeria” score is perfectly in line. The additional “Benin/Togo” & Cameroon/Congo” scores are common for almost all southern Nigerians, irrespective of actual ethnic background. However your 30% “Benin/Togo” being extra pronounced while your 4% “Cameroon/Congo” being quite subdued serves as an indicator that your breakdown is corresponding more so with southwestern Nigerians (Yoruba, Bini etc.) rather than southeastern Nigerians (Igbo, Efik etc.) Which all makes sense also given your known background. To me the one outstanding feature from your breakdown would be the 13% socalled “Mali”. This is not completely atypical as several other Nigerain results I have seen also showed minor scores for “Mali”. But especially for southern Nigerians it seems to be rare to score above 10%. Not sure what it could be suggesting. As always the country name labeling is not to be taken too literally! But I suppose some lineage from the western Sahel region (incl. also Burkina Faso, Niger etc.) could be possible. Again just speculating but i’m guessing this could be traced back from either a relatively recent timeperiod (last 500 years or so) or perhaps also just reflecting more ancient migrations (last 2000 years or so). Very tricky to corroborate or perform follow-up research. Perhaps your DNA matches might eventually shed more light or also consulting the elders in your family. Have you done any family tree research beyond your grand parents yet? Thanks for getting back in touch with me! I believe that my old results are somewhat more realistic than the new results. As for my ethnic groups, my dad is Bini and my mum is Itsekiri, Urhobo and Isoko, therefore I believe that my grandparents are from different ethnic groups. Regarding my experience, I don’t know a lot of people who are from the same ethnic groups as myself, however ethnic inter-marriage is very common with us! I was quite shocked seeing results for the region Mali, especially at 13%, so it was interesting for me that you said that you rarely see results above 10%. I also believe that I could have some lineage deriving from the Western Sahel, I guess I have more research to do! I’ve tried to do research beyond my grandparents but I haven’t gotten far in it. My parents believe that they’re fully Nigerian through and through, but that’s not the case anymore lol! I just know the on my dad’s side, we are descendants of the Kingdom of Benin, but I’ll be sure to find out more on my mum’s side. I’ve also contacted a few of my DNA matches and have talked to one person who is Ijaw and another who is Esan. It would be great to find more people outside of regions that I already know so that I can try to pinpoint where else my DNA may lie. But all in all, I’ve got a lot more discovering to do! In regards to your updated results: that’s indeed a drastic change in your results! I always say that there’s no better way to judge how predictive any admixture analysis is going to be than by looking at how people from verified background are described. You are a bone fide Nigerian yet you only received 11% “Nigeria”, so that already sets off alarm bells for me haha… Frankly I’m not happy with it at all! 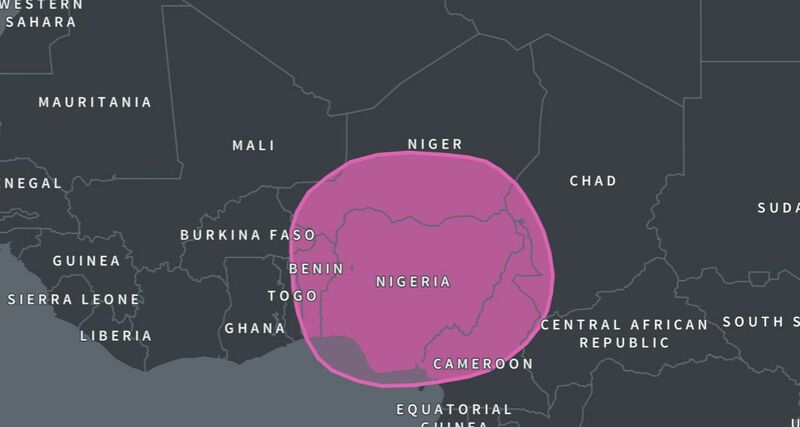 This is the first updated breakdown I have seen for a West African. But this makes me very anxious about Ancestry’s upcoming update leading to more people being confused or even mislead by their updated DNA results. 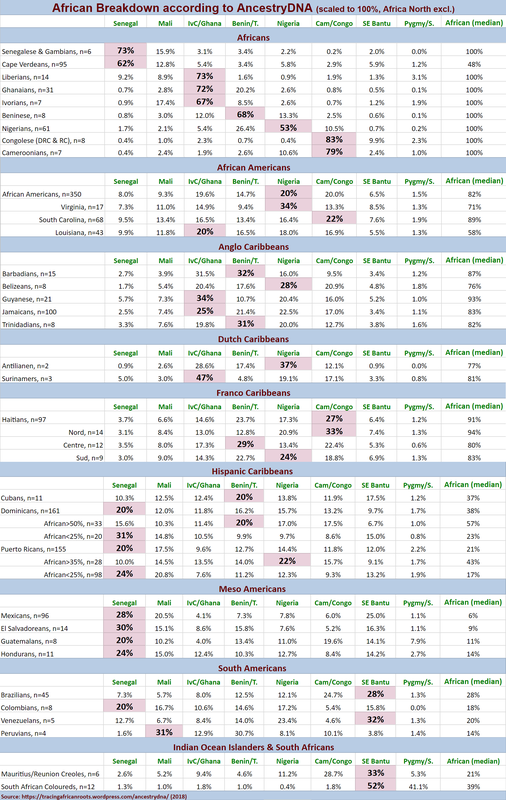 It might also understandably lead to a loss of confidence in admixture analysis…Very unfortunate but something I already feared would happen after seeing several other updated results for African Americans who like wise showed huge shifts in their African breakdown, especially involving the newly created region “Cameroon, Congo & Southern Bantu Peoples” and “Benin/Togo”. Both of these regions seem to “eat away” any former “Nigerian” scores. Aside from any possible change in the sample composition for the “Benin/Togo” and “Nigeria” regions I have a feeling that also the newly combined “Cameroon, Congo & Southern Bantu Peoples” region is having a drastic effect on the updated breakdown. Regrettably not in a good way judging from your results… It is definitely not adding any informational value from what I can gather. Quite the opposite actually! I also find it striking that all of your “Mali” score has now disappeared. Even when ambivalent I do think this score was potentially providing you with a valuable hint about some of your ancestors. The map for the new region “Cameroon, Congo & Southern Bantu Peoples” is even more expansive and seemingly all-inclusive. Not only for Central & Southern African DNA but in fact also covering all of Nigeria!!! Which explains your sudden increase for this region I suppose. Not sure how you feel about it but have you given any feedback to Ancestry yet about your updated results? The sudden decrease also set off alarm bells for me to so an new interpretation from AncestryDNA is definitely needed. If anything, I believe that I’m now confused more than ever. As you previously mentioned, we shouldn’t take the label names too seriously. Therefore, would you say that it could be possible that our DNA could be found in other regions specified under “also found in”? I’ve seen a lot of changes to many results since the new update was introduced, but not to the extent to mine as of recent. I hadn’t noticed that the maps had changed like that, so thank you for pointing it out! Also, your reason as to why there was an increase in Cameroon, Congo and Southern Bantu Peoples makes perfect sense. I am due to send an email to them soon, this update didn’t necessarily help me in any way. Indeed it seems that awareness of the countries being mentioned under “also found in” will be crucial to avoid being mislead by this update. Please do let Ancestry know about how this update has not been helpful to you! I am not sure how exactly they will handle such feedback but it might be that given sufficient complaints Ancestry might yet rethink this update. It’s really unfortunate but based on what I have seen sofar maintaining the current African breakdown seems like a better option right now. Although ultimately of course we would want to see an update that actually improves on how African DNA is being described in regional terms. Leading to greater insight and further specification rather than confusion and running the risk of being mislead about your ancestry. It’s bad enough that Cameroon/Congo and African SE Bantu are basically combined in a blob so large that it basically becomes useless. I surely hope that this is just a trial run and Ancestry will not make these changes system-wide when they find out how bad they are. As you said, you want things to become MORE clear, especially as you get more and more samples and are able to drill down deeper. Instead, the proposed changes would take us in the opposite direction toward less understanding. With these changes, my already falsely low “Nigeria” score would likely cease to exist entirely, despite you finding me multiple Nigerian matches. lol In fact, it’d probably be eaten up from BOTH ends, from the new Benin/Togo and the new “Cameroon, Congo & Southern Bantu Peoples.” lol Why, oh why, would they propose doing this to the most populous country on the continent? Poor Nigeria. Lol, you said it! I’m really curious to know if perhaps they have altered the sample composition of existing regions such as “Nigeria”. Possibly they have removed previous Yoruba samples which causes this northern shift. 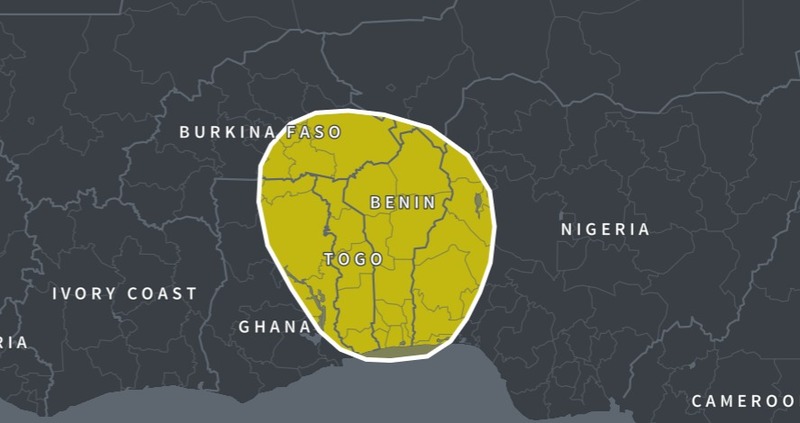 Actually this updated “Benin/Togo” region (to be found as far west as Sierra Leone and as far east as Gabon!!!) reminds me how Yoruba samples were for a very long time used as some kind of generic stand-in for West African DNA by many DNA testing companies as well as DNA studies. Sometimes along with Mandenka samples. So you would have admixture reports saying to people they were either Yoruba or Mandenka … As if these are the only West African ethnic groups around, haha! Fonte, what exactly does that map show? It seems to show trade going east, not west. Trying to figure out how the Nsenga would have gotten into my line, as they are actually a tribe that straddles the Zambia/Mozambique border. It makes me wonder how much further northwest they were when they entered my line, because it’d seem that if any slave trading would be involved, it’d be the Indian Ocean (Arab) ports, and I’m African American. One more thing, why is it that I can respond to your posts, sometimes, but then others I have to make a new post? Anyway, just got back a Cameroonian match. He’s from the Balundo tribe of coastal Cameroon, particularly in the Southwest region, which borders Nigeria. Can’t find any more information on them, such as what language they speak and what family it’s in. Still kind of surprised I’m not finding Ivory Coast/Ghana (my largest region), but maybe it’s because they haven’t tested to the same degree as my other African matches. At least for me, it seems Cameroon/Congo is picking up a lot more from the former than the latter. But maybe other people will have a different experience. Great news again for your Cameroon match, you’re really on a roll! Not sure what’s going on with the reply tool, must be a wordpress issue. 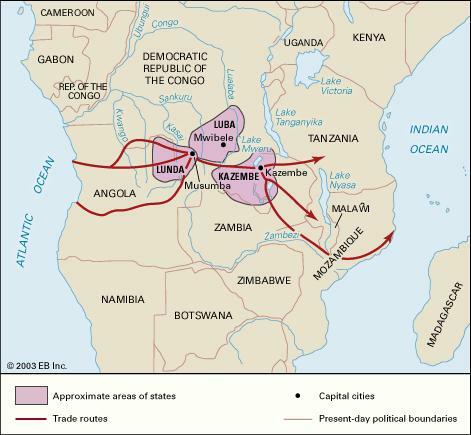 The map is just a simplified illustration of some the trade routes going west from the Luba & Lunda kingdoms to Angola. One of their offshoot states was the Kazembe kingdom which is more so located in Zambia proper (see this link). These states seem to have maintained mutual trading networks. It’s not to deny that the principal outlet of Zambian captives would have been to the east. 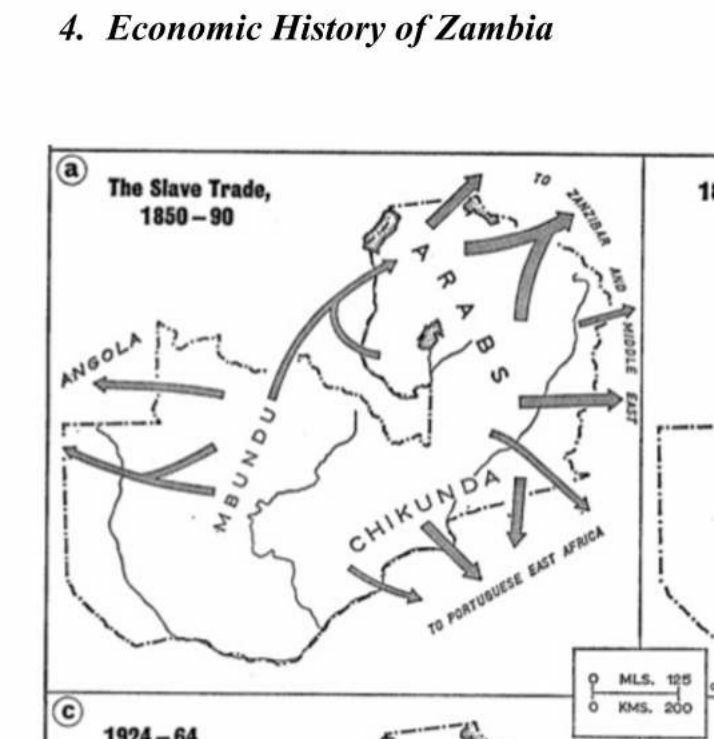 Probably western Zambia was more so affected by Trans Atlantic slave trade. See also this map which is focused on a rather late period but might still be relevant. Again this is all very sketchy and nothing exact as we simply lack the detailed data. In that link i gave in my previous reply you will find references to more in-depth studies. I suppose we also have to keep in mind that the segment length for this match is quite small (<7cM). This increases the chances of false positives or IBS matches (the way to check would be to test both of your parents to see if any of them receive the same match). Another possibility to take into consideration is that the shared amount of DNA you share with your match might happen to be relatively widespread in the genepool of not only the Nsenga people or even just Zambia but also surrounding countries. Due to the genetic legacy of Bantu migrations across the millennia. Including also relatively recent migrations as afterall your Nsenga match could very well have other types of ethnic lineage going back 2 or 3 centuries. This would make it a population match. And if so it would be generic marker of Bantu lineage I suppose. It will be very instructive to see from what other Central and Southern African countries you will receive matches from as Ancestry's customer database continues to include ever more African DNA testers. Wow, that link of Southeast Africa shows more of that region reaching the U.S. than I’d originally assumed. It’s a small percentage of overall slaves shipped from that region, but it’s still in the thousands. I was expecting talk of more in the hundreds. So it wouldn’t be totally unusual to find African Americans with some amount of Southeast Bantu, and it’s completely possible for SE Bantu to have come directly from Southeast Africa and not through some convoluted trade. This could explain my grandmother’s trace “Polynesian” score, too. My Madagascar match seems to have not been on Ancestry in a long time, so I didn’t even bother, but I may shoot her a message. And before that I’ll check to see if she matches with my grandmother. Yes indeed, also your Virginia background adds to historical plausibility. Finding out if your Madagascar match also shows up for your grandmother could be very helpful to pinpoint the family line where such lineage is to be traced from. How much “Polynesia” did your grandmother score? Even though follow-up research is required to confirm trace regions. I do think for many other African Americans a valid ancestral connection to Madagascar may be implied as well. Even when usually greatly diluted Malagasy DNA still also seems to be greatly dispersed throughout the African American gene pool. More research is needed but as we discussed earlier I suspect that the Domestic Slave Trade from especially Virginia may have played a key role in this. Not yet but see the previous comments for the updated results for a Nigerian of Bini, Itsekiri, Urhobo & Isoko descent. I do think it would have made a big difference to add to the “Senegal” category since it is only represented by just like 28 Mandenka samples from Human Genome Diversity Project. International Genome (formerly known as 1000 Genomes) has Jola, Wolof, and Fula samples in addition to more Mandinka. Ancestry could have easily taken these and made a “Senegambia” category that would have been stronger. A major missed opportunity was not making a “Sierra Leone” category and using thhe “Mende” samples. African Americans would definitely have Mende and or Temne ancestry since many slaves brought to the U.S. would have been Mende/Temne especially for the rice plantations of South Carolina. MyhertiageDNA does use the references, so why can’t Ancestry? Unless they have some reason why they felt they just couldn’t, or just forgot about it. I have been emailing them for months before news of this new update came out about these new references and they never responded. After news of the update came out and I saw what populations they were adding and none of them had any African populations I emailed them multiple times again, and of course they never responded. I still find it odd that they still are keeping the Pygmy and Khoisan samples together as the same category ( “South Central Hunter Gatherers”) especially when everyone by now KNOWS the vast genetic differences. I’d love to see more people point this out to Ancestry to get their attention. How could they be so careless with this. And it will probably be many, many more years into the future before they update again and possibly fix this. With myheritageDNA, as I said they are using the International Genome references as they should, but they didn’t have any other African populations to begin with. Ancestry.com did have some African reference populations and I really do feel that adding the International Genome references (and fixing the categories they had before, instead of just leaving them alone or combining them) would have really been a big improvement. I’d really like to see an explanation on why Ancestry chose not to do it, but I guess with only one person asking them, they’re not going to give an answer. Hi Anthony, you raise some very valid questions and it’s only appropriate that Ancestry should indeed give their customers more insight in how they went about with their intended update! I agree that the number of samples being used for not only the “Senegal” but also the Mali” and several other regions should be increased. Even when actually in this current set-up I found especially the “Senegal” region very informative already and in line with historical expectations. See for example how consistent my Cape Verdean survey participants had “Senegal’ as biggest region in their African breakdown (chart 1). 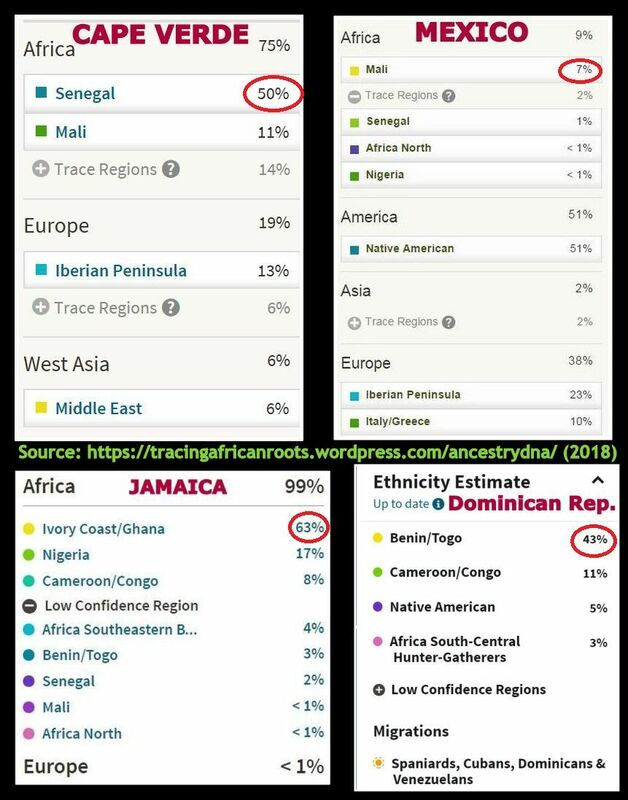 Either way I found it very striking for example how most of the 20% “Senegal” in your old results seems to have been refined into 23% “Mali” instead after the update. I have seen similar shifts (“Senegal” amounts being replaced by “Mali” amounts) a few times already, including for two Cape Verdeans. Again in the current set-up the “Senegal” region was very consistent and historically plausible for Cape Verdeans. I find it worrisome and a loss of informational value that it seems that this will no longer be maintained. Even when “Mali” is in itself (mostly) suggestive of related Upper Guinean DNA. Btw you might already know about it but a very promising development is taking place with another DNA testing company: Living DNA. Something which I hope to be covering in greater detail in the near future. See the map on their West African project page, it looks very ambitious to be honest but even if only half of the intended resolution will be achieved this could be MAJOR! They didn’t answer my question at all and seem to have given me a generic response. I doubt that they have enough African samples to give us accurate DNA results. Everything in the update seems clustered and quite misrepresented. I hope to see how they can fix this given the criticism they have received, but as of now, it’s not looking quite good. When do you think you will post an article on the new ancestry african regions?